Purchase Order Guide – Pacific Amber Technologies Inc.
1. 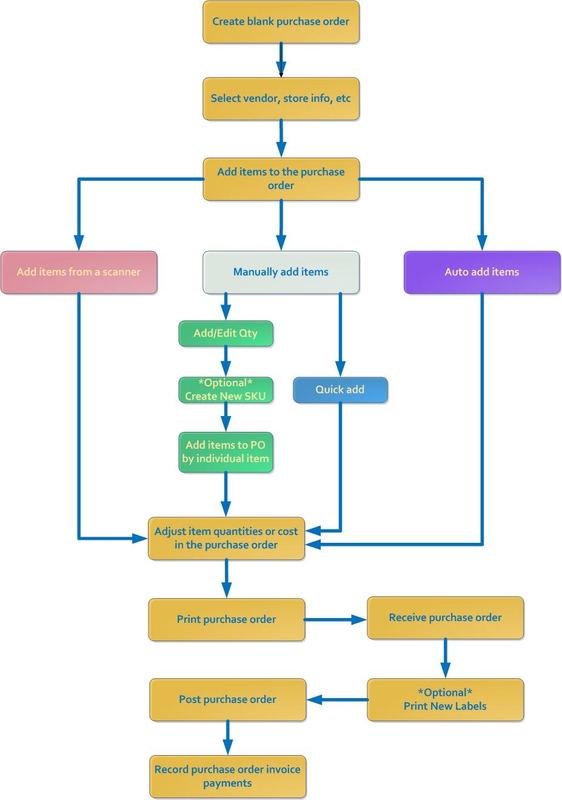 The first step to a successful purchase order is to create a new blank purchase order. 3. Look over your ordered items and make any changes or corrections needed. 4. When you are satisfied with your order, create an invoice to send to your vendor. 5. Once your ordered items arrive at your store, re-open the purchase order to receive and post the items. 6. Pay the vendor invoice and record your payment.